Growing up, there was always a dish towel hanging on the refrigerator. Usually it was a terry cloth towel with a crocheted top. 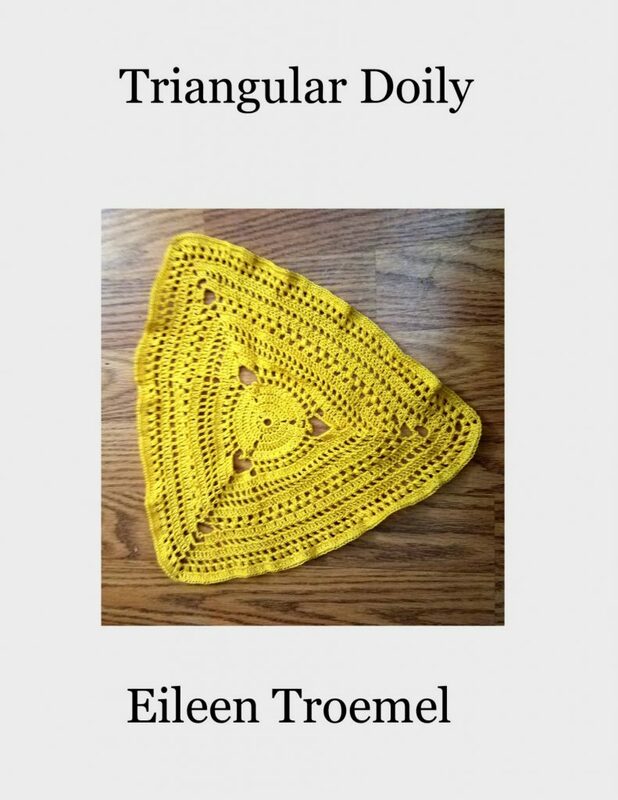 In this pattern, I’ve crocheted the towel and the topper. This hangs on your fridge, most stoves, wherever you need a handy towel. It’s a quick project most beginners can create. 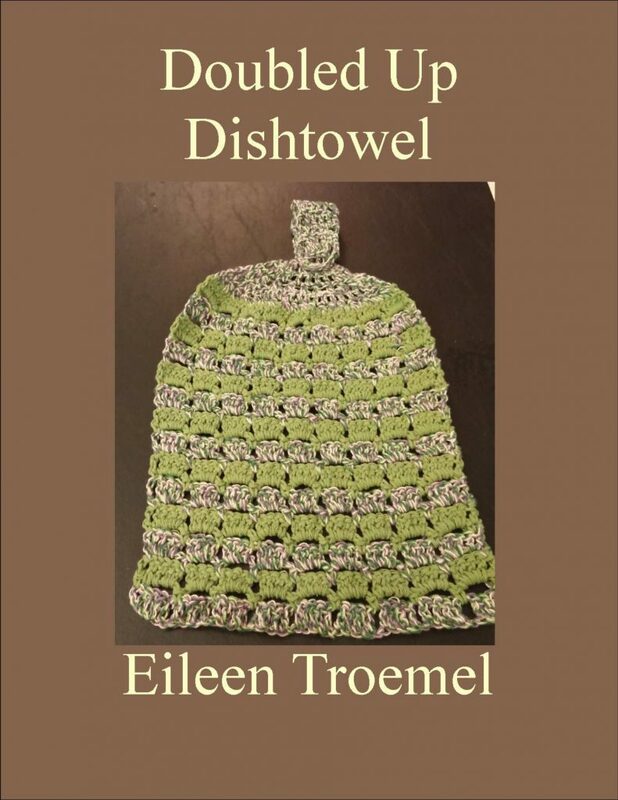 Made with crochet cotton, this dishtowel is elegant and practical. It washes easily with all your other towels. You can choose colors to coordinate with any kitchen décor. 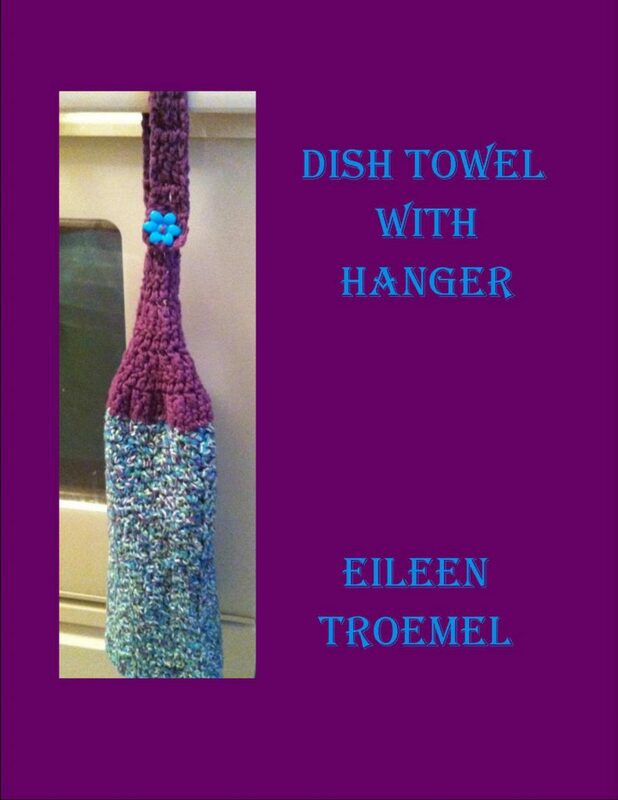 Doubled Up Dishtowel pattern uses the double crochet to create a stylish towel to hang anywhere in your kitchen. 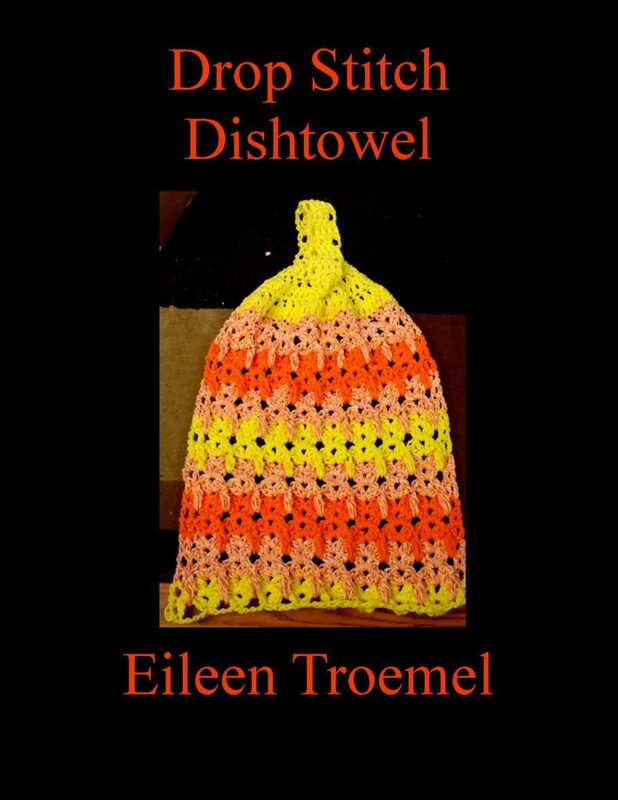 Made with crochet cotton, this dishtowel is both functional and fun. 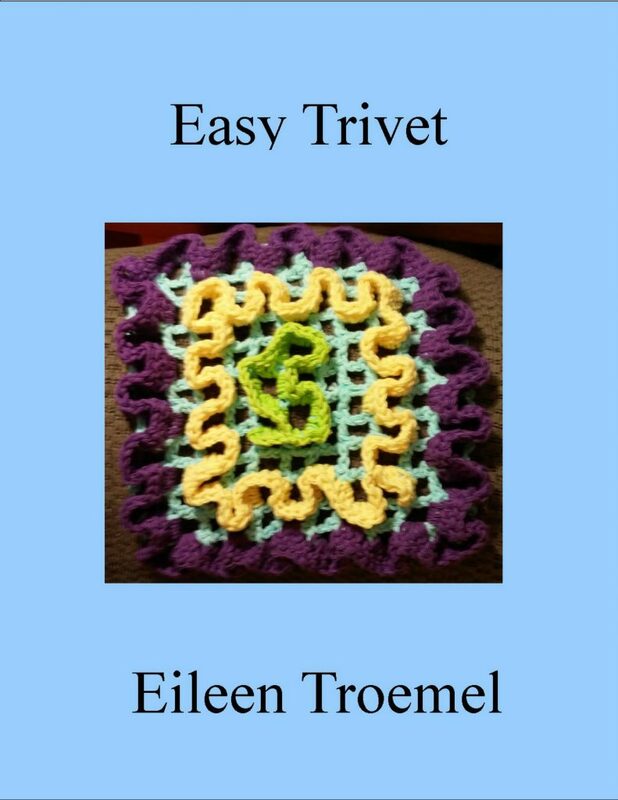 A little whimsy and fun the pattern uses double and triple crochet to create movement. At the same time the dishtowel can hang from any handle from your fridge, stove, or drawer. This trivet is three dimensional so it cushions your hot pan from your table. Quick and easy, bright and cheerful, this pattern offers an alternative to a hot pad and a way to use up scrap yarn. 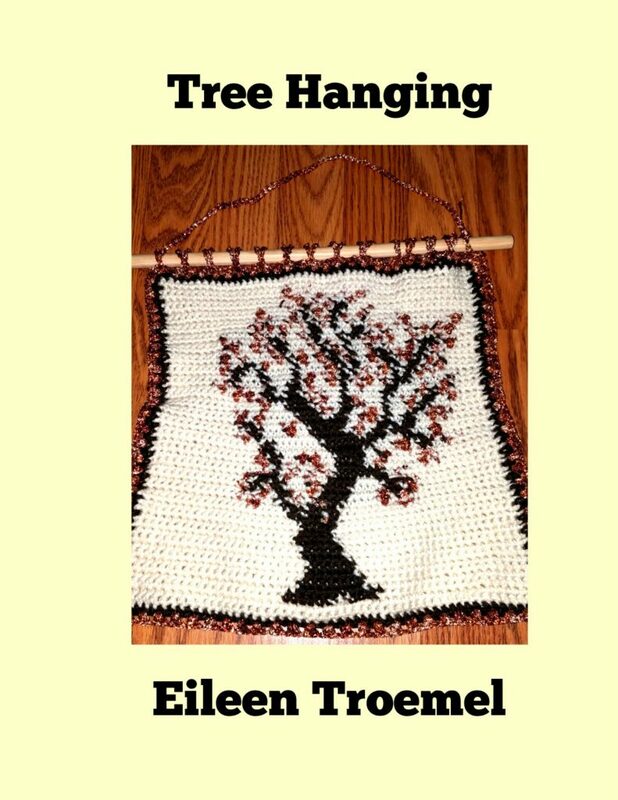 Made with crochet cotton, it is durable, practical and pretty. Sponges hold germs and the store bought scrubbies fall apart with one use. The solution? Make your own. 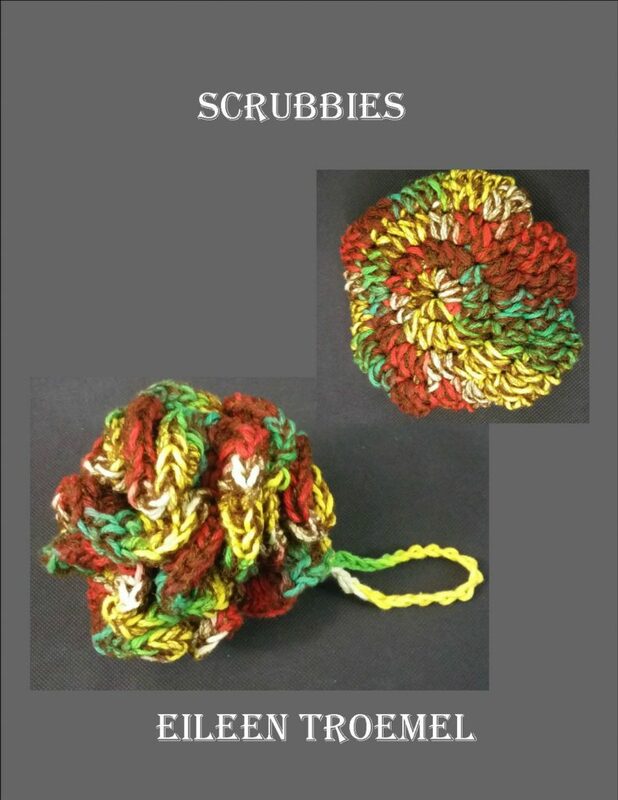 These two scrubbie patterns can be done in a short time and will last a long time. They can also go in the dishwasher or the washer to keep them clean. The combination of tulle with crochet cotton makes the durable and practical. ​A unique technique using jute (or hemp) with crochet cotton to create baskets for any use or occasion. Ten patterns for different shaped baskets. 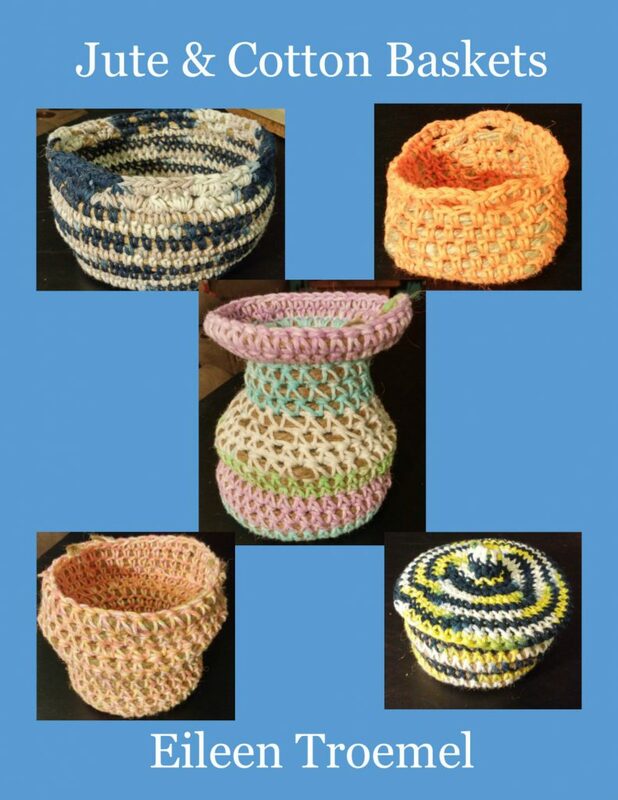 Combining hemp rope and crochet cotton, these make sturdy and unique baskets for multiple uses from decoration to storage. Light and different, this doily works up nicely to provide a beautiful decoration for any room. Worked in crochet cotton size 10, this is durable as well as decorative. 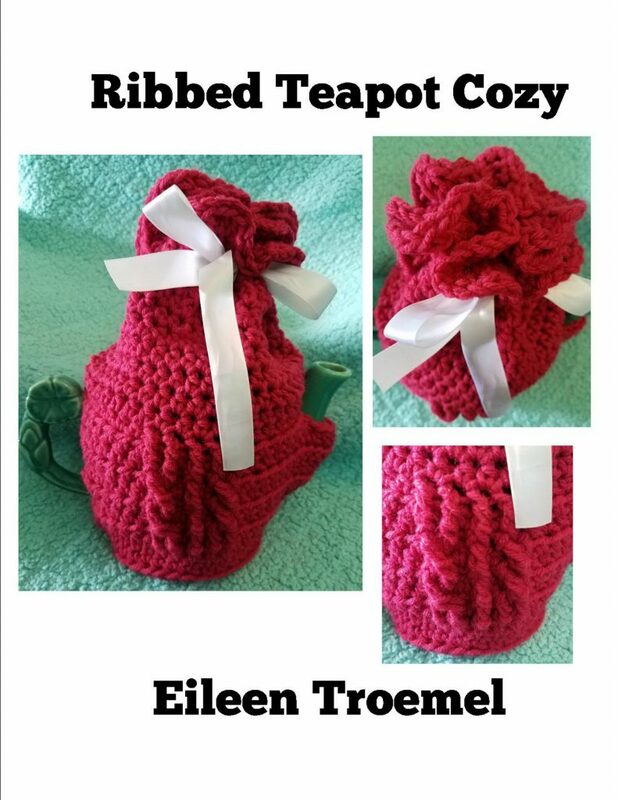 This ribbed and ruffled top cozy will keep your teapot warm. The tight stitches with the worsted weight yarn will insulate your teapot. This cover is bright and cheery to add to any table. 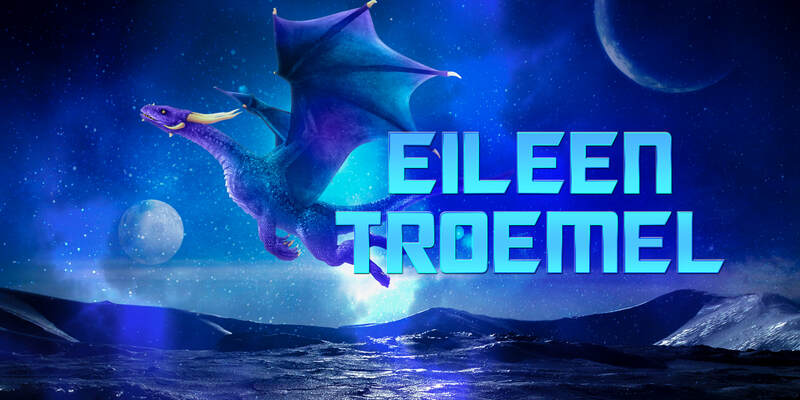 Please contact me through my contact page. I’m open to this idea but would like to know more first before I agree. My programmer is trying to convknce me to move to .net from PHP. I have always disliked the idea because of the expenses. But he’s tryiong none tthe less. am worried about switching to another platform. I have hezrd great things about blogengine.net. I hired a professional to switch me to WordPress. I suggest you do the same. Thank you – come back any time and I hope you enjoy!